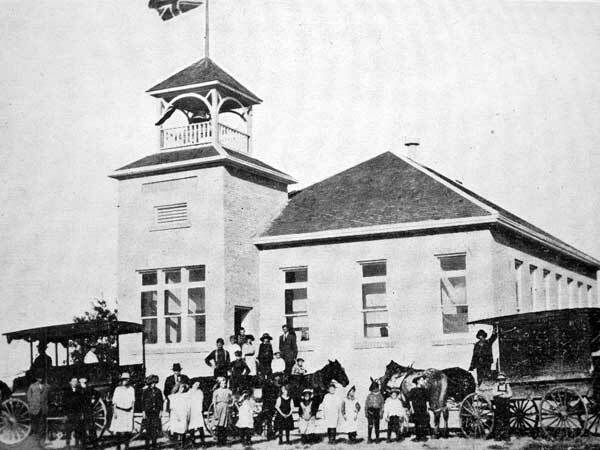 The Langruth School District was established formally in October 1910, but it was short-lived, being consolidated early the next year, into the Langruth Consolidated School District, through its merger with Poplar Leaf School District No. 1303. 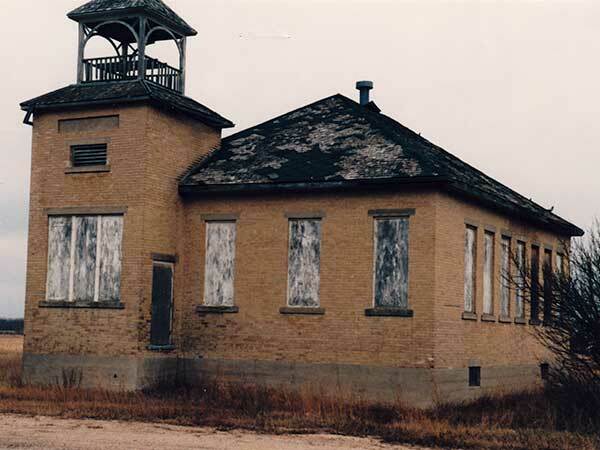 Langruth Consolidated School District No. 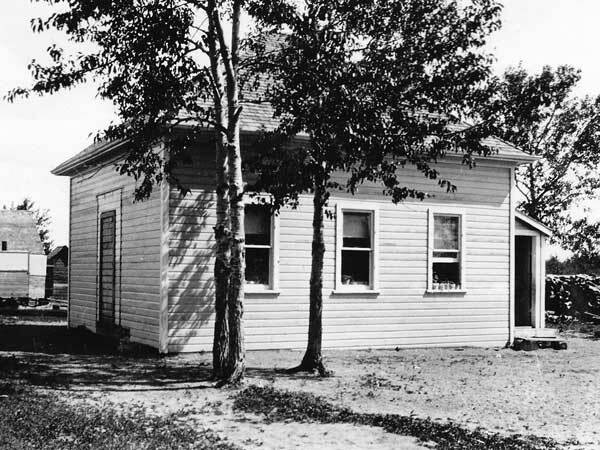 1303 was formed in May 1911, and a modest wood frame school building was erected in the village of Langruth, in what is now the Municipality of WestLake-Gladstone. 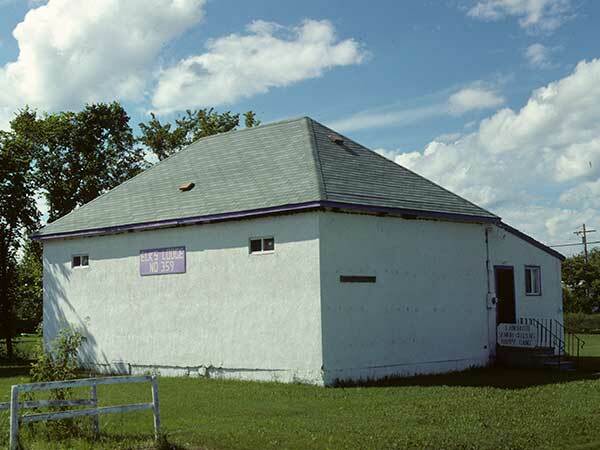 As of the late 1980s, that building was still standing, and being used as a storage building. 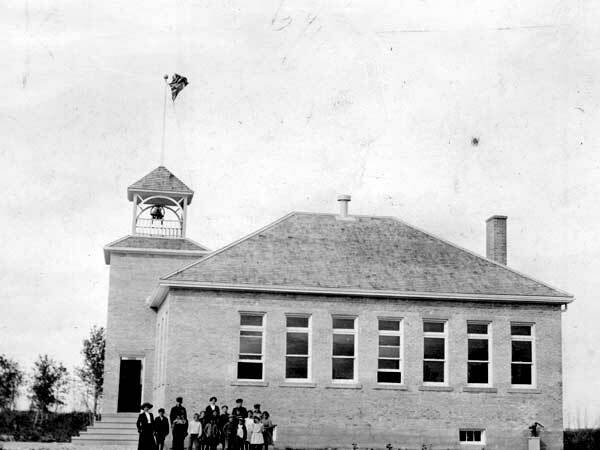 Meanwhile, it had been replaced by a brick structure that stood until 1953, when it was replaced by a new two-storey wood frame building beside it. 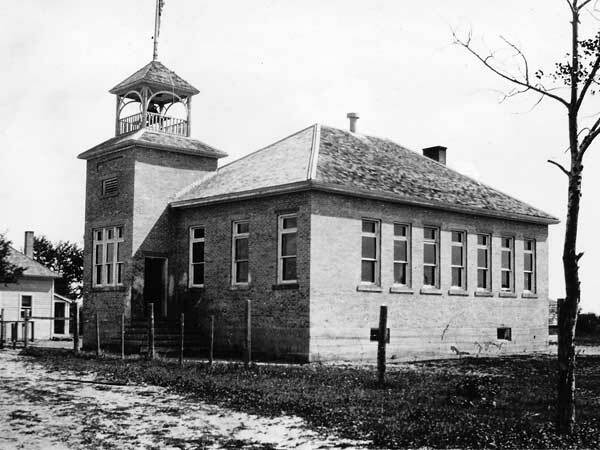 A high school building was erected later, on a nearby site along Highway #50 and the original school was used for elementary classes. When the high school closed, students from the elementary school were moved in. 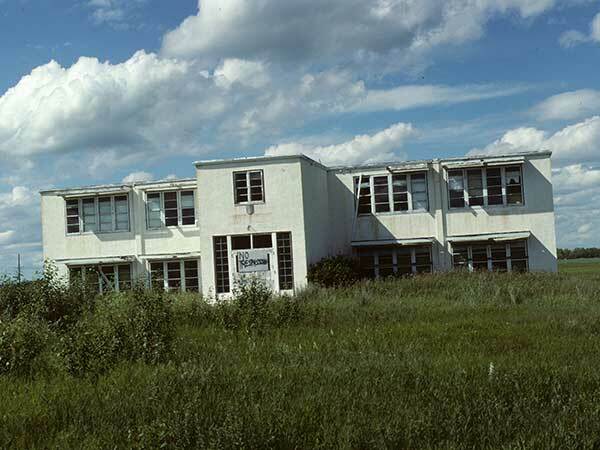 The former elementary school sat empty for some time, then was renovated by the Sandy Lake First Nation for use as apartments for their school teachers. 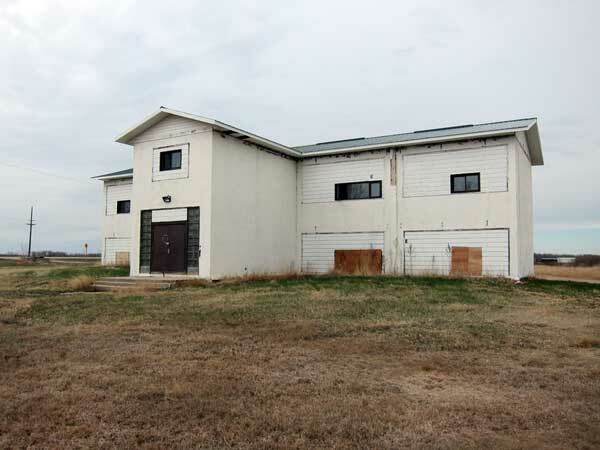 The building was later closed due to violation of health standards and has been sitting vacant for some years. 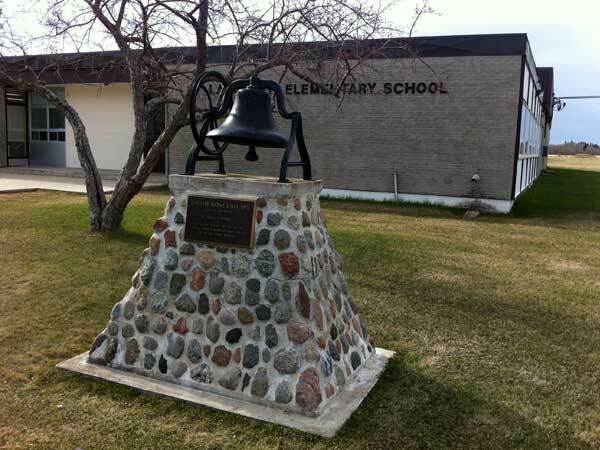 A monument on the grounds of the present Langruth Elementary School, topped by the former school bell and dedicated on 30 June 1984, commemorates rural schools that were consolidated with it through the years: Airedale School No. 1492, Amana School No. 928, Big Point School No. 962, Hecland School No. 1277, Hollywood School No. 1279, Lakeside School No. 225, Langruth School No. 1550, Marshland School No. 1278, and North Lakeland School No. 754. 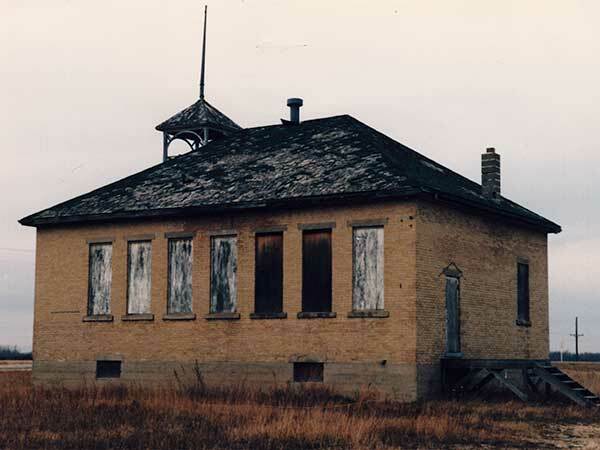 Among the other teachers of Langruth School was A. J. Starr. Source: Historic Resources Branch, Public School Buildings Inventory, slide 546. Source: Historic Resources Branch, Public School Buildings Inventory, slide 545. We thank Philip Thordarson and Ed Arndt for providing additional information used here.